Bolinas is nestled in between Stinson Beach and Pt. Reyes California and is host to the Duxbury Reef Preserve State Marine Conservation area. 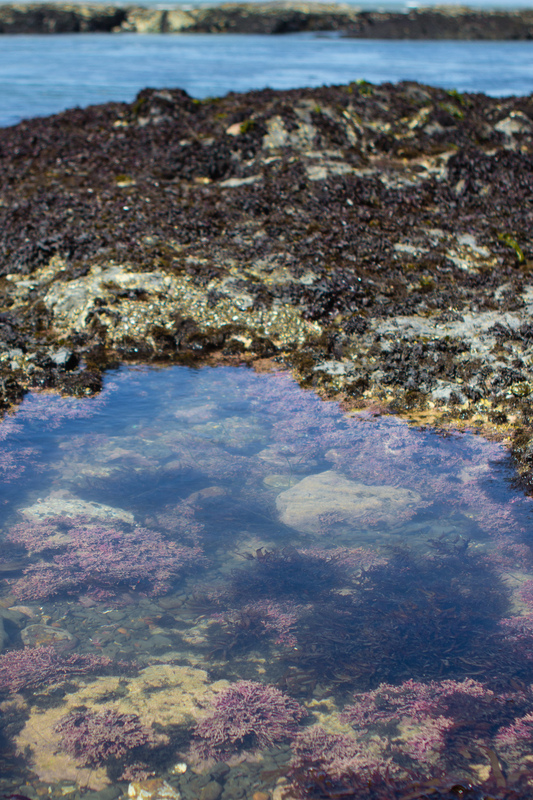 The best way to explore the tide pools is to enter through the Agate County Beach Park. After parking take a short hike down a somewhat paved trail that gives way to a rugged sand and pebble descent to sea level and the tide pools. Go at low tide and all sorts of creepy crawlies can be found hunkering down waiting for the next tide to roll in. Take your time when exploring...this is the land of little creatures that conceal themselves through their own adaptations and by taking advantage of every nook and cranny to be found.